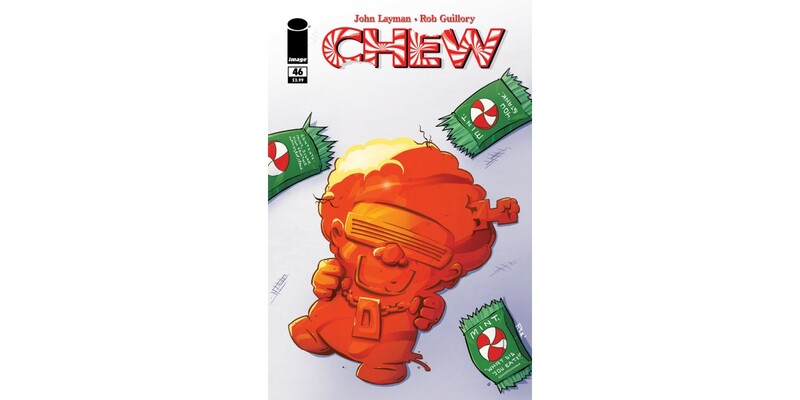 Writer John Layman and artist Rob Guillory serve up more CHEW this February from Image Comics with an all-new story arc and trade paperback with CHEW #46 and CHEW, VOL. 9 respectively. A multiple Eisner Award winning and New York Times bestselling series, CHEW #46 provides the perfect jumping-on point for readers and will introduce a new partner, new boss, and new problems to the new CHEW storyline. Only 15 issues remain to the series—with a planned ending at issue #60—and the stakes will be raised for Tony Chu with each new plot twist. “Chew continues to drastically change its own status quo from issue to issue and arc to arc,” said Layman. “As we enter the final quarter of the book things will continue to accelerate. Change will come fast, and change will be permanent." Guillory added: "John and I began Chew with a very specific end in mind. Now, with only 15 issues of Chew left, we're hitting the gas pedal in a very big way. Things are escalating to fever pitch, and no character is safe." CHEW #46 will be available on February 25 and can be pre-ordered using Diamond Code DEC140631. CHEW, VOL. 9 (ISBN: 978-1632152894) will be in comic book stores on February 25 as well and can be pre-ordered with Diamond Code DEC140632.